Built upon big data technology, this next-generation risk solution enables banks to improve ALM & liquidity risk management. Luis Matias provides insights into regulatory pressures, big data and the need for flexible tech solutions in ALM/LR. Implementation of a Big Data approach for liquidity stress testing at a large Canadian bank with IBM. 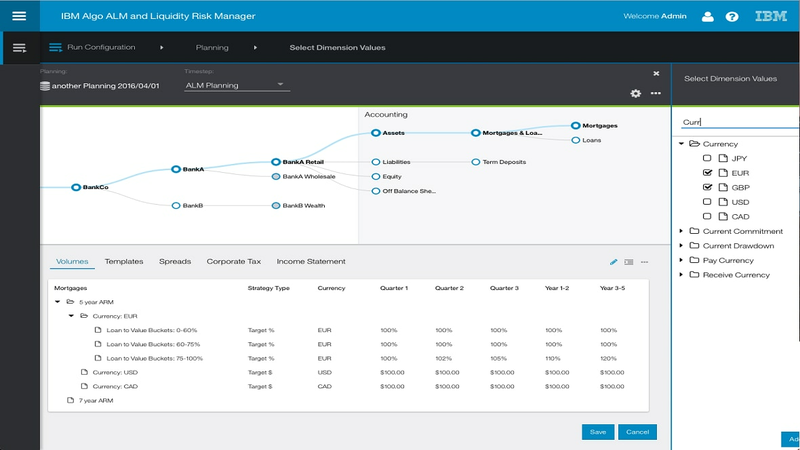 IBM Financial Risk solutions transform risk management into a competitive edge. With major regulatory changes on the horizon, Banco do Brasil selected IBM® Financial Risk solutions to meet the challenges. Efficiently and effectively model balance sheet risks, liquidity holdings and hedging strategies.